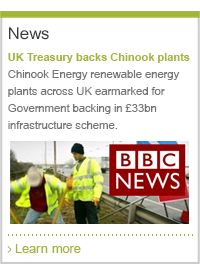 Chinook Sciences is the world’s first and only company to develop and commercialise a system combining renewable energy generation with elements-based recycling, creating the greenest and highest energy efficient technology. 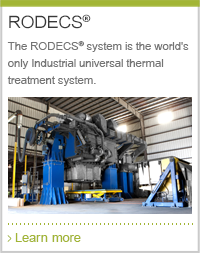 The concept behind this system is referred to as End-Stage Recycling®. In the UK, each year over 27 million tonnes of residual waste is left after recycling. Within this are thousands of tonnes of valuable metals currently sent to landfill, as there have not been technologies efficient enough to recover metal embedded inside mixed waste. All this can now be avoided using Chinook’s End-Stage Recycling® plants which are powered by the unique RODECS® technology. Chinook has received the Queen’s Award for Enterprise Innovation as a result of 14 years of continuing technological advancement combined with the commercial successes of its End-Stage Recycling® system. The system, protected by over 100 patents, relies on the ninth design generation of an advanced form of combined gasification and pyrolysis, with built-in forward looking optimisation algorithms that allow the processing of a very wide range of wastes. This technology has an unrivalled 14 year track record of industrial operation, and an unblemished environmental record. In partnership with European Metal Recycling, an industrial complex has been built in the West Midlands to recycle End-of-Life Vehicles (ELV). In this complex, Chinook built and is now commissioning the world’s largest industrial waste gasification plant. More than £120 million has been invested in this facility which will process 160,000 tonnes/year of ELV waste, recovering more than 10,000 tonnes/year of metal that was destined for landfill. Through Chinook’s technology, this complex will deliver nearly 99% vehicle recycling, which is higher than any other ELV recycling scheme. Additionally, the plant will generate power with an installed capacity of 40 MW-hr. 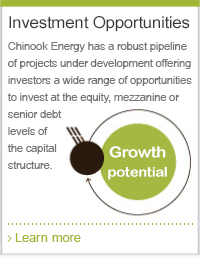 Due to the success of Chinook’s technology, numerous other projects are under development. The most recent, announced in May 2014, is the world’s largest waste gasification plant in partnership with Bee’ah, the leading environmental and waste management company in the UAE. This plant will process all types of municipality waste, with the first phase due to be completed at the end of 2015. When the second phase is completed, the plant will process 480,000 tonnes/year, generating 80 MW-hr. The facility will have a negative carbon footprint with a reduction of 400,000 tonnes of CO2 per year.